Everyone loves a good nap, but finding the time and place can be difficult for wild animals. Whether it is staying away from predators, keeping warm or remembering to breathe, there is lots to consider when it comes to sleep and animals have come up with many weird and wonderful solutions. 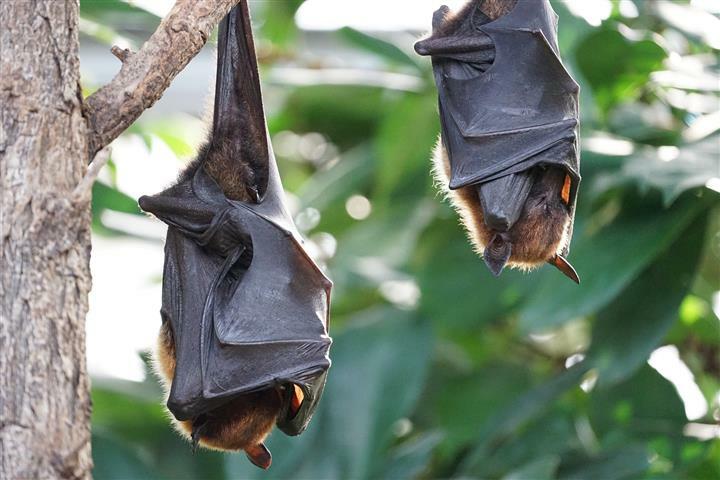 It may not seem like the ideal sleeping position to us, but, for bats, sleeping whilst hanging upside down works. It not only keeps them out the way of predators but it also means they are in the perfect position to fly away if needed. They don’t have to worry about falling off either, as their strong talons keep them in place. 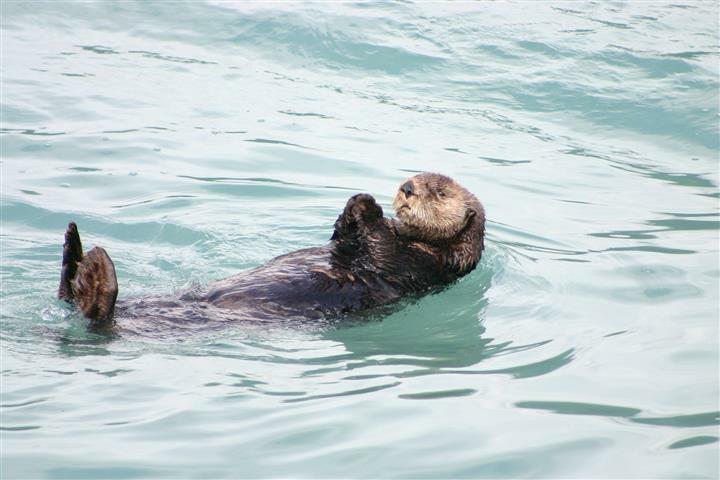 For sea otters, the water is where it’s at when it comes to nap time. Floating on their backs keeps them away from land-based predators, whilst wrapping themselves in seaweed stops them from drifting away with the currents. Sometimes, up to 100 sea otters can be seen sleeping together in this way in what’s called an otter raft. Some may even link hands with a fellow otter to keep them together whilst they snooze. Learn more about otters in our A-Z pages. Can you imagine sleeping for only five minutes at any one time and as little as 30 minutes a day? 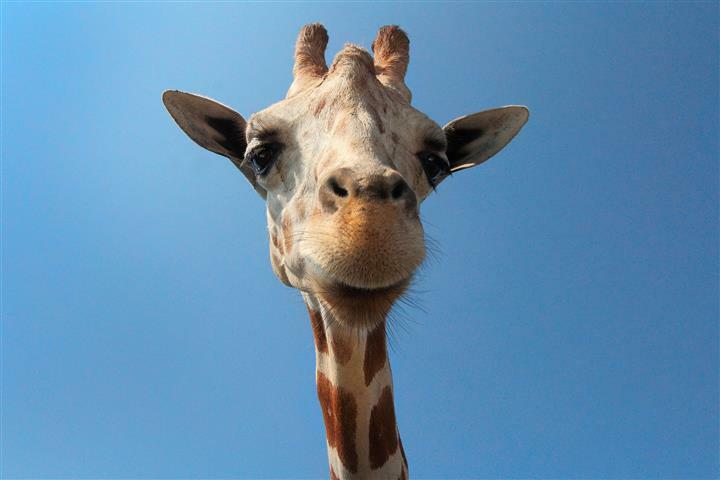 This is exactly what giraffes do. Being a large animal in the middle of open plains makes taking a risk-free nap impossible as any time spent sleeping is time at risk from predators. So, they nap in short intervals, sometimes sitting down with their heads resting on their backs but often standing up and ready to run. 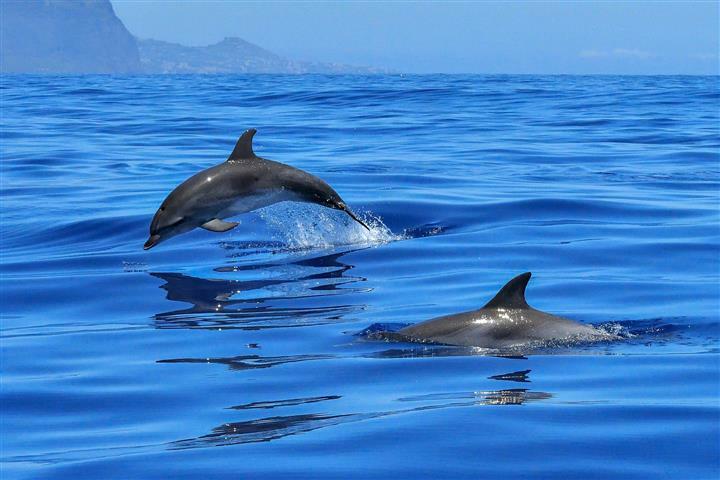 Unlike us, dolphins have to consciously think to breathe, even when their sleeping. Therefore, they shut only half their brain down at a time and sleep with one eye open, which is known as unihemispheric sleep. As well as stopping them from drowning it also means they remain on the lookout for potential danger or predators. 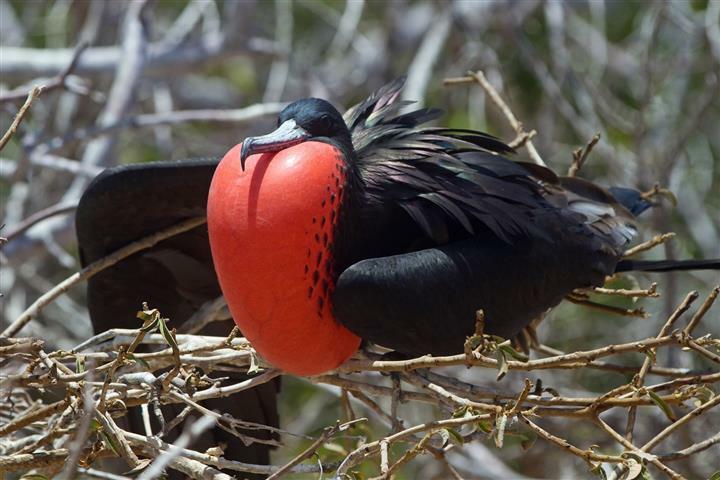 Great Frigatebirds can stay in flight for months at a time. This is an impressive feat but even more so when you think about how they sleep – in 7–12 second bursts. The birds tend to spend around 40 minutes sleeping a day when flying, which is considerably less time than they would on land. Chimpanzees and other great apes like to be cosy and curl up when they sleep. They build nests high in trees using branches and leaves, which keeps them out the way of predators. 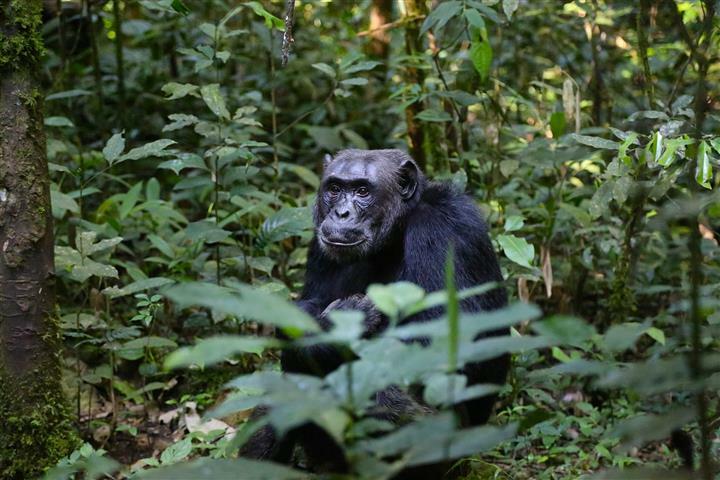 Chimpanzees are particularly picky and will select the most sturdy looking trees to build their nests. Sometimes it’s beneficial to work together to ensure you all stay safe whilst sleeping and that is exactly what ducks do. 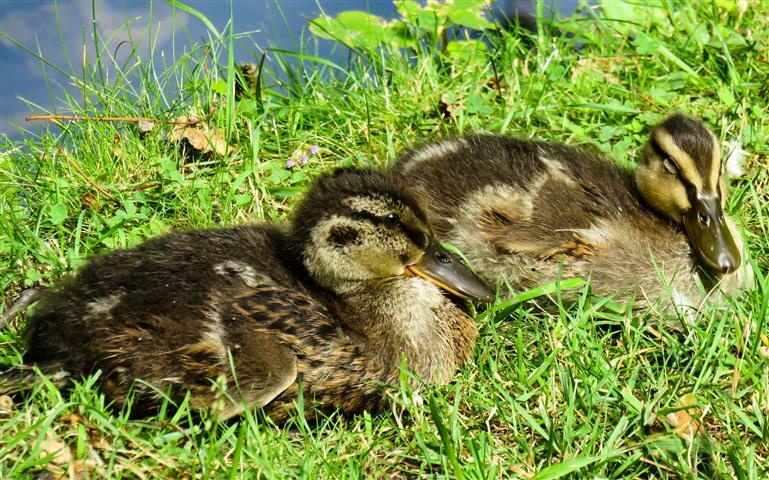 Ducks tend to sleep in rows, side by side. And more than that, the ducks on the outside sleep with one eye open and watch for danger whilst the ducks in the middle relax with both eyes closed. 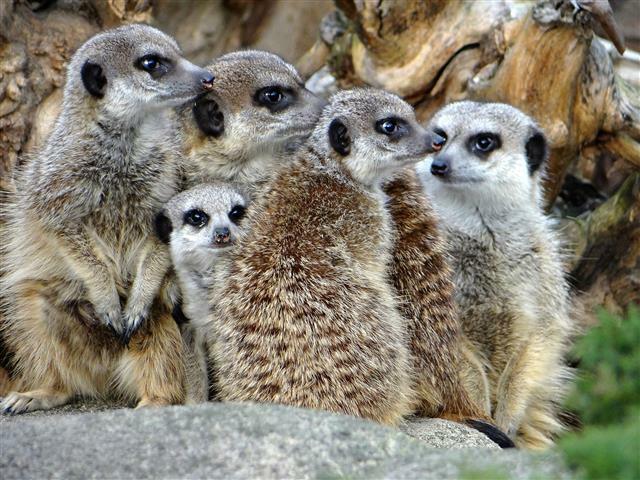 Meerkat societies are hierarchical and led by alpha males and females. They are tight-knit societies, which is proved by their cuddly sleeping habits, as they tend to sleep in piles with the alpha meerkats in the middle as far away from any danger as possible. Sleeping standing up has its advantages when you’re a prey animal as you remain ready to run from danger. 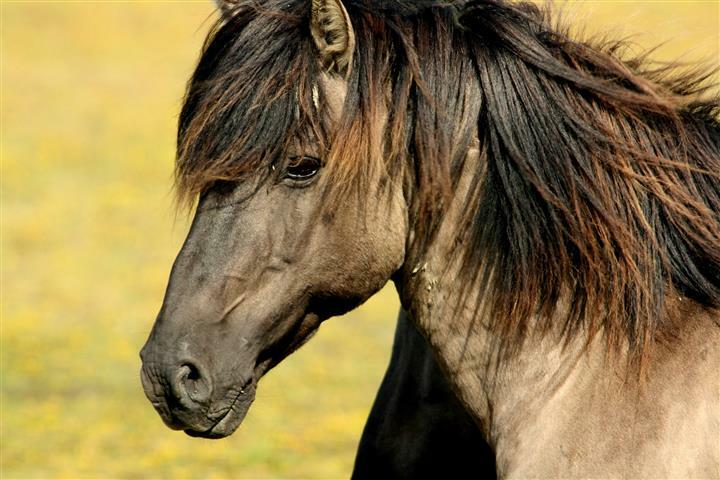 Many animals have this ability; horses are just one example. To do this effectively, horses use a stay apparatus, which is an adaptation of the musculoskeletal system that enables them to lock their limbs in place. They do lie down occasionally though as sleeping standing up only allows for light sleep. Wouldn’t it be nice to be able to sleep anywhere? 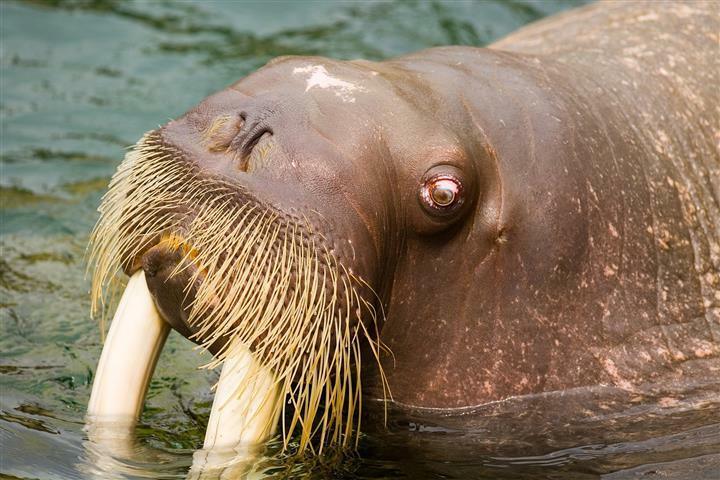 Well if you were a walrus, you would be able to. They sleep both in water and on land and at any time. If at sea, they remain buoyant with their heads at the surface by filling their pharyngeal pouches, which elastic pouches on either side of their oesophagus, with air.